Terri Clark & Trace Adkins. After The Fire Is Gone. (2005) - Newhillbilly website. 100% American Roots Music. "After the Fire Is Gone" is a song written by L. E. White, and recorded by American country music artists Loretta Lynn and Conway Twitty as a duet. It was released in January 1971 as the only single from the LP We Only Make Believe. 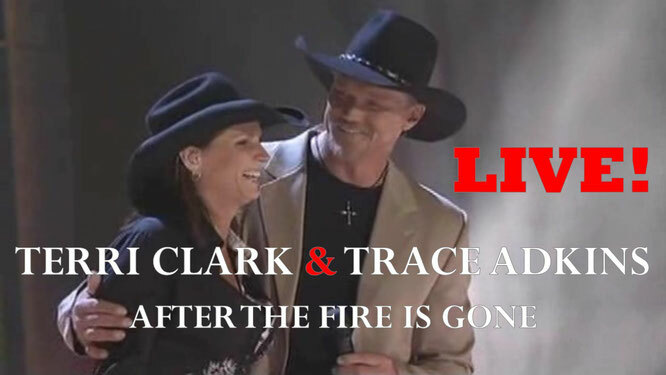 Terri Clark & Trace Adkins perform this song again. "After the Fire Is Gone" was the first number one on the U.S. country chart for Lynn and Twitty as a duo. It spent two weeks at number one and a total of 14 weeks on the chart. On the Billboard Hot 100, the single peaked at number 56.